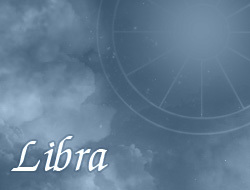 A very large number of people under the sign of Libra are characterized by high interaction with surrounding. They have such character and personality, which helps them quite simple to establish contact with people. This helps them, for example, to find better job. Libra is also characterized by their balance in the life, i.e. they try to have everything equally; nothing can exist with cost of something. People born under the sign of Libra are interested in problems of their family and friends, as well as try to help the needy. Persons from this sign aren't indifferently if somebody asks them for help. It is very good character trait, because thanks to that such people are widely liked. They have a high tendency to cooperation with people, and everyone wants to spend time with them. They have features, which peculiarly help them to become a scientific researcher, lawyer, or also an adviser in the future. They love books and magazines of different type. Reading enables them to run away from reality for a bit, thus develops their imagination. In their life the family is very important; therefore the family good has the highest importance for them. Mostly they don't like active lifestyle, but try to practice sport. They value health, and in spite of frequent idleness are able to gather their strength and to start practicing some sports. However, quite large numbers of Libra decides on less stress sports, for example slow runs, gentle physical exercises, or longer walks.